NC State men's basketball player and online student Allerik "Al" Freeman. Many NC State Online and Distance Education students require flexibility to balance a busy career with family and continuing their education. The same holds true for Wolfpack men’s basketball players Allerik “Al” Freeman and Kevin “Sam” Hunt. Freeman is a graduate student in the online graduate certificate program in youth development and leadership in the College of Agriculture and Life Sciences (CALS). Hunt, on the other hand, is enrolled in the leadership and volunteer management graduate certificate program. Both are Youth, Family, and Community Sciences (YFCS) programs offered in the Department of Agricultural and Human Sciences. Multitasking can be a challenge for anyone, but it’s something NC State Online and Distance Education students learn to excel at. For Freeman and Hunt, their on-and-off-the-court success has a lot to do with the online YFCS faculty members. Hunt says the online YFCS faculty always makes sure he has enough time to complete his coursework and help him manage deadlines. “They have done a great job of supporting me and working with me,” Hunt said. In addition to being supportive, he says the faculty members are great with communicating with him. “You know, at some schools, teachers might wait a day or two, but the professor I have now, it’s instant. I might have to wait 30 or 45 minutes, but after that, we communicate with each other,” Hunt explained. He adds that if the teachers can’t get to their email he’s been able to speak with them via phone. Freeman has been appreciative of the online format because it allows him to play a sport that he loves, see his out-of-state family and continue his education. “It allows you to travel if you have family far away like I do. I have a daughter that lives in California so, when I’m not playing basketball and I have some off-time, I don’t necessarily have to go sit in class. I can still get my work done while traveling on a plane,” Freeman said. Freeman says it’s been especially beneficial during the NCAA Tournament. 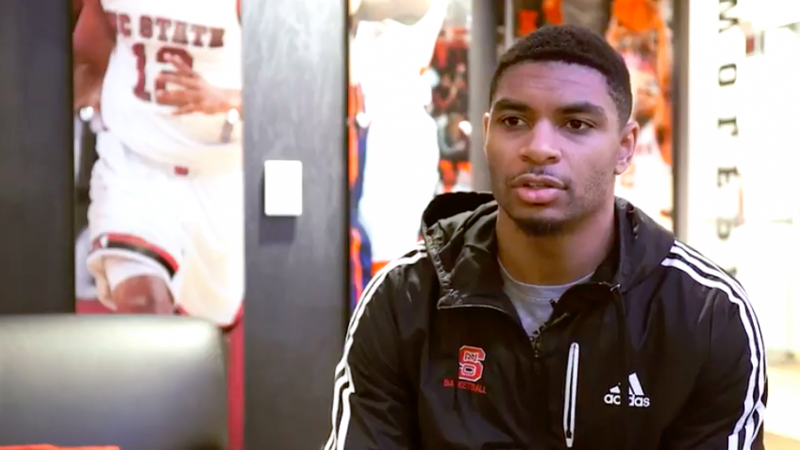 “I get to really focus on basketball and I’m able to do my classes in my hotel room,” Freeman explained. But getting to play basketball isn’t the end game. It’s the value they take home once they’ve completed the online program. Hunt says the online YFCS program has really changed his perception about nonprofit programs and that’s been one of the greatest benefits for him. “For nonprofit, it’s more about you wanting to do something to help impact others in the youth so, that’s my biggest thing, that’s what I actually want to do with my future career — learning about that has been really cool,” Hunt said. 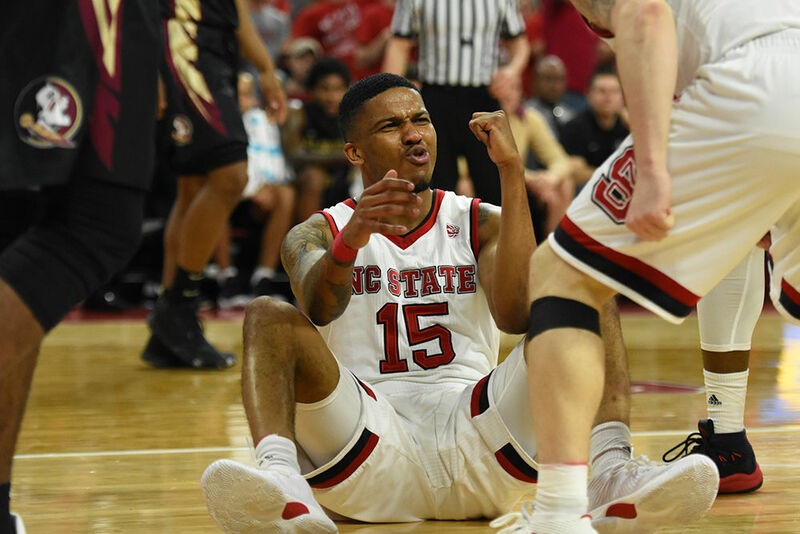 NC State plays in the first round of the NCAA Basketball Tournament Thursday at 4:30 p.m. against Seton Hall.